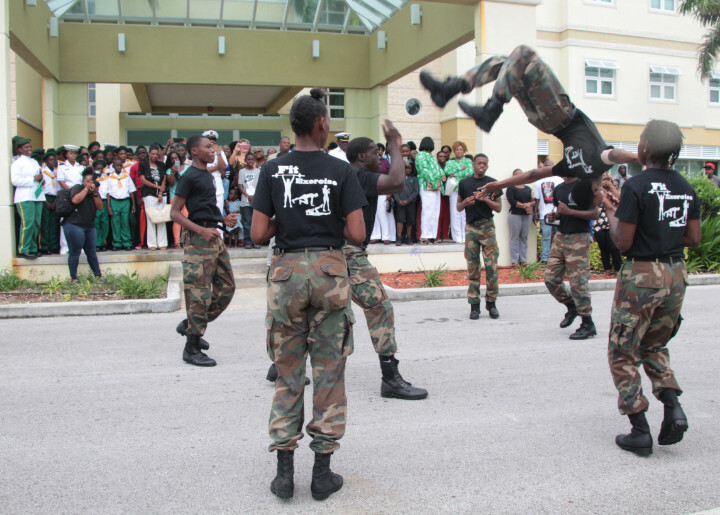 Coral Harbour Base, (RBDF): A total of 54 students were inducted into the Royal Bahamas Defence Force’s (RBDF) Rangers Program on the island of Grand Bahama during a recent Passing out Parade ceremony at the C. A. Smith Government Complex in Freeport. Attending the ceremony were Acting Permanent Secretary for the Ministry of National Security, Mr. Eugene Poitier representing the Minister of National Security, the Hon. Marvin Dames); Commander Chappelle Whyms, Commanding Officer Northern Command (representing the Commander Defence Force, Commodore Tellis Bethel), and Rangers Director, Lieutenant Delvonne Duncombe. Bringing remarks on behalf of the Minister of National Security for the occasion was Mr. Eugene Poitier. He congratulated the newly installed Cadets, and encouraged them to take advantage of the many opportunities afforded them through the program. 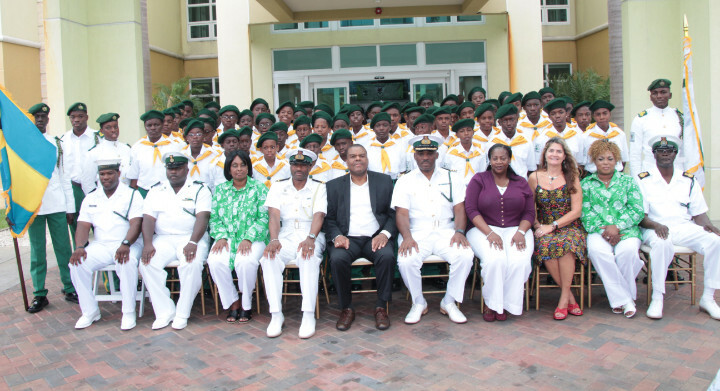 “The Royal Bahamas Defence Force Rangers have participated and assisted with many major national, international, civic, cultural and sporting events, providing ground support to athletes during both CARIFTA and Commonwealth Games,” said Mr. Poitier. “Additionally, Ranger Cadets in Grand Bahama have also engaged in a Scuba Certification Program where fourteen Rangers have received their Open Water Certifications. Since July 2017, the Defence Force through the Rangers became the sub-licensed agency under the Governor General’s Youth Award program, with the authority to assess and award bronze and gold medals to participants”. Numerous students have passed through the Rangers program, which has been in existence on the island of Grand Bahamas since 2010. 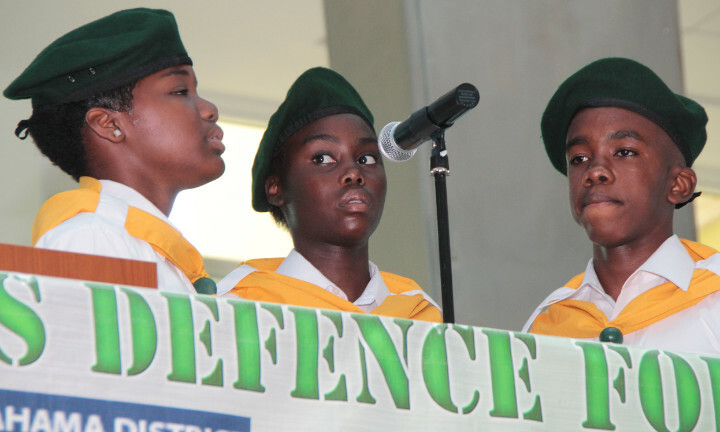 The young Cadets who graduated represent 11 schools on the island. Numerous relatives and friends were there to cheer on and congratulate the students. Awards and certificates were presented to several students. 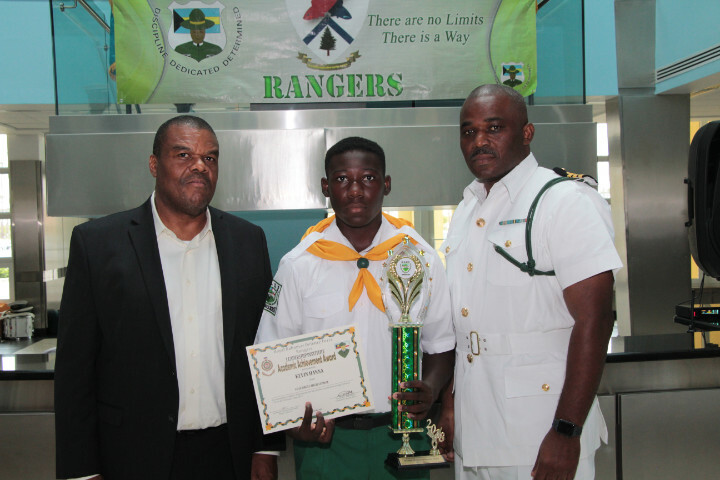 The overall Minister of National Security Award, was awarded to Kevin Hanna from St. George’s High School, The Commander Defence Force Award was presented to Quentin Levarity of Freeport Bible Academy and the Rangers Director Award, went to Anthonique Coakley of Jack Hayward Junior High School.